When Olive is asked to write an essay about Val's book, a work that attracts and repulses her in equal measure, doing so brings back to the forefront Olive and Griff's tangled histories and their complicated reflections on that tumultuous time in their young lives. Things only become more fraught when Griff borrows Olive's treasured first edition of the novel--and loses it. Then Griff's quirky and audacious new colleague, Jean Argos, finds the book and begins reading it, setting off a series of events that will introduce new conflicts, tragedies, and friendships into the precarious balance of Olive and Griff's once stable home. 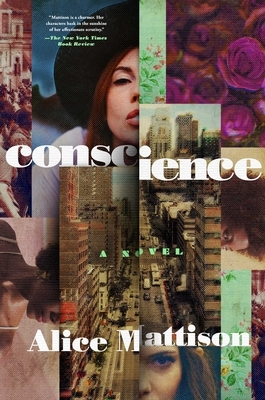 Conscience, the dazzling new novel from award-winning author Alice Mattison, paints the nuanced relationships between the palpable personalities of Olive, Griff, and Jean with her signature wit and precision. And as Mattison explores the ways in which women make a difference--for good or ill--in the world, she elegantly weaves together the past and the present, and the political and the personal.